David Budbill continues his popular poetic ruminations on life in remote New England--an outward survey of a forested mountain and an introspection of self-reliance, anonymity, and the creative life. 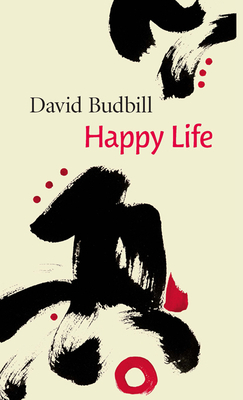 Inspired by classical Chinese and Japanese poets, Budbill contemplates the seasons, ambition, his questionable desire for fame and fortune, and simple, focused contentment: "Weed the beans. Pick the peas." Just the chain saw, the dog and me. Work until I can't stand it anymore. drink some water, stare out through the woods, pet the dog. dog's head on my lap. David Budbill is the author of poems, plays, essays, speeches, and book reviews. He has also served as a commentator on NPR's All Things Considered. He lives in the mountains of northern Vermont where he tends his garden and website. David Budbill: David Budbill was born in Cleveland, Ohio, in 1940 to a streetcar driver and a minister's daughter. He is the author of six books of poems, eight plays, a novel, a collection of short stories, a picture book for children, and scores of essays, introductions, speeches, and book reviews. He has also served as an occasional commentator on National Public Radio's "All Things Considered." Among his prizes and honors are a National Endowment for the Arts fellowship in playwriting, a Guggenheim Fellowship in poetry, and a Dorothy Canfield Fisher Award for fiction. He lives in the mountains or northern Vermont where he tends his garden and website www.davidbudbill.com.